Social media has become a popular tool in the political landscape. As a result, it is of increased importance to evaluate social media campaigns of politicians. However, there is currently little knowledge how to measure and evaluate the influence of social media in political campaigns, especially at the local scale. 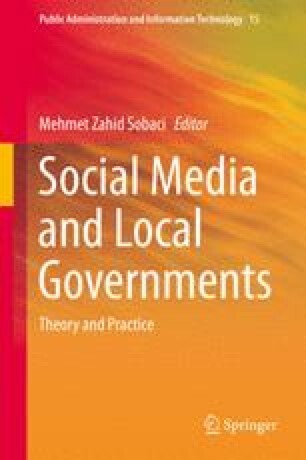 This chapter is a step further towards the development of a theoretical framework and an algorithm that contributes to more reliable impact measurement of social media campaigns by politicians. The Social Media Indicator-2 framework and a related scoring algorithm are introduced to evaluate the influence of individual political candidates via social media on their social environment. The framework is tested by applying it in an empirical pilot study based on the local 2014 municipal elections in the Netherlands. We collected data for the political candidates and their parties in a pre-defined period and were able to relate scores to voting outcome. Positive correlations were revealed between social media contribution scores of politicians and their preference votes within the province of Overijssel in the Netherlands. The research projects mentioned in this chapter are initiated, supported, and funded by the Social Indicator Consortium as a collaborative project from Saxion University of Applied Sciences, University of Twente and eLabbs in Enschede, The Netherlands.